Only $862.99 when purchasing 2 or more! This desk is REVERSIBLE! Bridge can be set up to the left or right side. Grommets are standard on bridge and credenzas. Top quality ball bearing slides on all drawers. 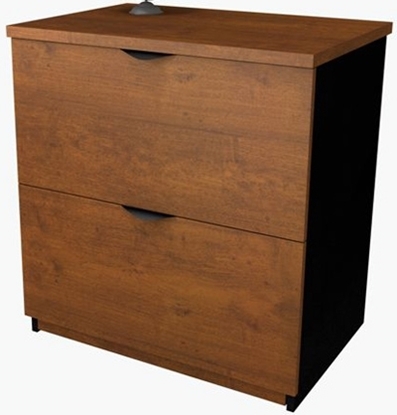 One set of locking drawers with two box drawers and one file drawer. Great executive desk office furniture. See our related products below for a great deal on a desk chair and side chairs. 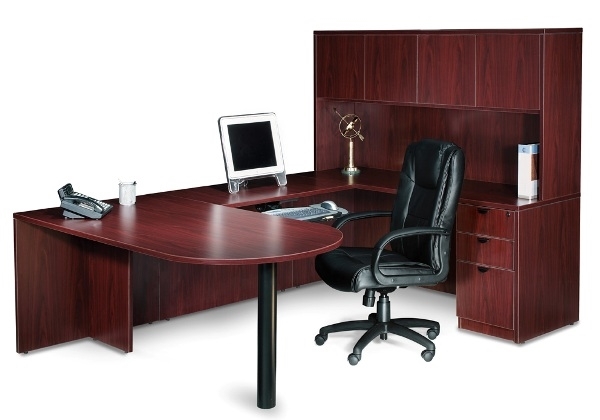 Contemporary style and superior construction office furniture. Each surface is edged in "Super Edge" 3mm PVC matching edge is stonger and more durable than the edging found on many other products. 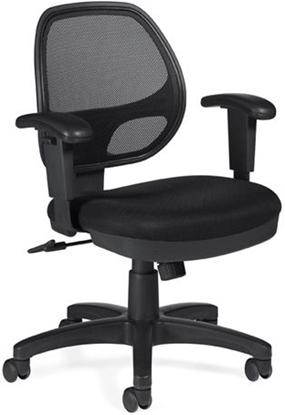 A fully adjustable mesh office chair at a great price, the OTG11647B gives good support when working at your computer desk and features a soft mesh back and a breathable mesh fabric seat. Pictured in Black with adjustable arms and height. Free shipping on all office furniture.